More than any other country in the region, the kingdom of Lesotho is marked by the HIV/AIDS epidemic. Nearly 130,000 children have lost their parents to the disease and need special care and protection. 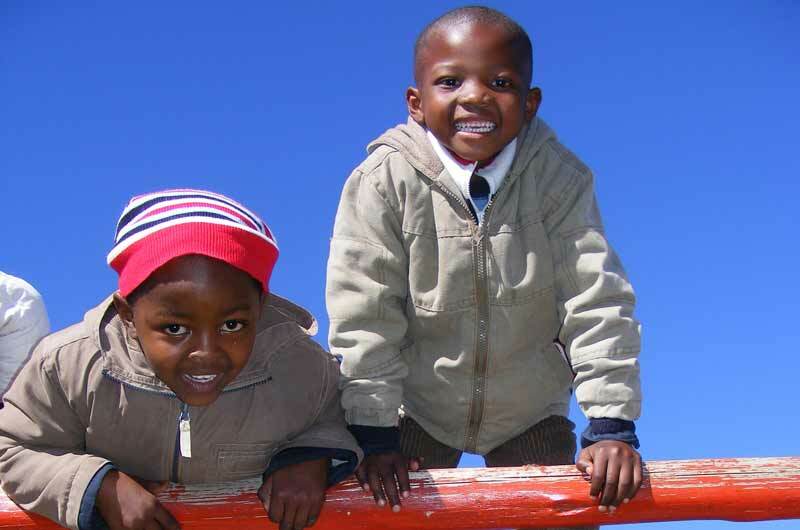 SOS Children's Villages has been helping vulnerable young people and children in Lesotho since the 1980s. At present there are two SOS Children's Villages, one SOS Youth Facility, two SOS Kindergarten, one SOS Hermann Gmeiner School, two SOS Social Centres (family strengthening programme) and one SOS Medical Centre in Lesotho. SOS relies on the kindness and generosity of Canadians to be able to provide a home for the most vulnerable children of Lesotho. Please help us ensure a loving home for every child in Lesotho. Sponsor a child in Lesotho now. Your donation will help change an orphaned or abandoned child's life. 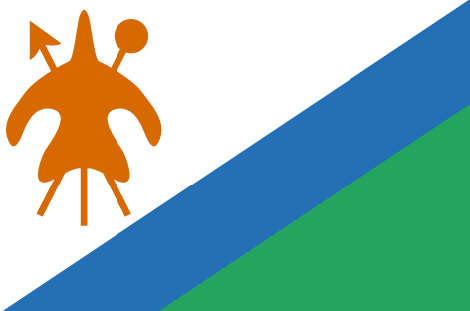 Nearly half the population of Lesotho are considered poor by the United Nations Development Programme (UNDP). Although the GDP per capita is higher than that of many other African states, inequality in income distribution continues to be high. A small minority controls a vast part of the country's wealth. Furthermore, the country's ranking in the United Nations Human Development Index (HDI) has been falling steadily over recent years. The drastic drop in remittances generated by migrant labourers in South Africa has pushed thousands of rural households deeper into poverty. Most of these workers were employed in the mining industry but as demand declined, unemployed Basotho workers returned home and remittances shrank from about 60 per cent of GDP in the 1980s to roughly 20 per cent in 2005. Poverty is deeply entrenched in rural, arid parts of Lesotho, where about 70 per cent of the population live. Agriculture, which accounts for about 17 per cent of GDP, is the primary source of income for more than half of the population in rural Lesotho. 15 per cent of Basotho are undernourished and a lack of drinking water also persists. Due to inadequate hygiene and a lack of clean water, infectious diseases often spread easily. Over 200,000 orphaned children live in Lesotho. 130,000 of them have lost one or both parents to AIDS. Children who grow up without their parents are more prone to a wide range of risks. Many of them head households at an early age. Instead of going to school, they may work or beg in order to survive. However, in Lesotho a number of programmes aiming to protect the rights of these children have been implemented and the government has received much praise for its courage in the fight against HIV/AIDS. The programmes focus on educational assistance, home-based care, food security initiatives and psychological support. The 2010 Education Act made primary education in Lesotho not only compulsory but also free of charge for children aged six to thirteen. An estimated 18 per cent of Basotho children at school age do not attend school, many of them because their parents can simply not afford it. However, programmes that aim to improve school enrolment in Lesotho have been implemented over recent years and they seem to yield fruits. Another major problem that children in Lesotho are facing is the HIV epidemic. A high number of children have been orphaned by AIDS and many are HIV-positive. Mother-to-child transmission of HIV has been greatly reduced thanks to an ambitious governmental programme initiated in 2003. Between 2005 and 2009 alone, prevention of mother-to-child transmission (PMTCT) coverage rates has increased from 6 per cent to 71 per cent. Since HIV/AIDS remains one of the country's most striking public health concerns, our organisation has specifically supported families affected by the disease. A high number of children orphaned by AIDS have been helped. At present, we are supporting young people and children by providing day care, medical assistance and education in two different locations. When children can no longer stay with their families, they are cared for by their SOS mothers in one of the SOS families.